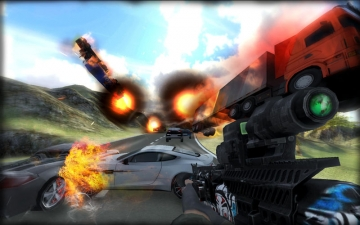 [無料] Traffic Ops 3D Sniper Shooter | Mac App Storeのアプリ検索・ランキング BuzzMac! Grab your guns, it's time to have some fun and demolish cars in the mountains. 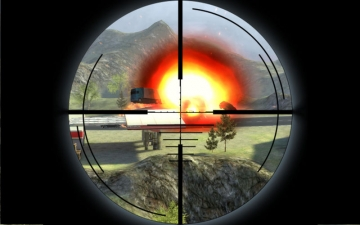 You are a modern elite sniper on his day of from deadly missions in this first person shooter game. 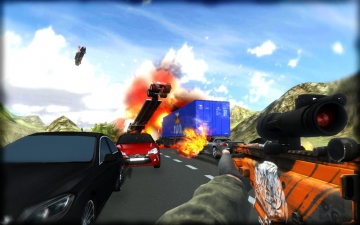 Fire with your sniper rifle on the traffic and blow up some cars and trucks on the highway traffic road. 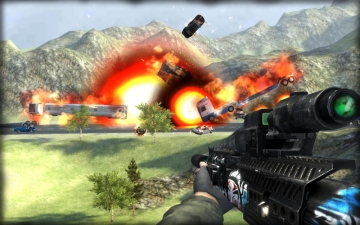 Use your marksman skills and aim on the right target to make the vehicles explode, fly around and crush and crash into each other. Create hilarious chain reactions and crazy explosions. More collateral damage means more combos and score. Level up, upgrade your arsenal of weapons to destroy even more taxis, police cars and trucks.